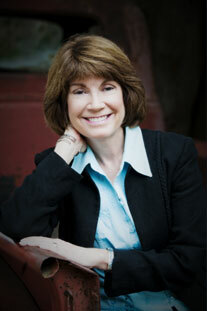 Today I welcome novelist Ann Weisgarber to my series of author interviews. Ann will be at the Historical Novels Society Conference as a panelist on the Historical Fiction: the American Experience session. Q: For you, what is the line between fiction and fact? A: I believe that readers trust us to tell the truth about historical events, locations, and cultural norms. I work very hard to keep those aspects as accurate as possible. If the facts don’t fit with the story I’m writing, I change my characters rather than the facts. In The Personal History of Rachel DuPree, I wanted my main character to have a brief interaction with Ida B. Wells Barnett, a historical journalist in Chicago. To make that work, I had to make my main character older by a few years. In The Promise, I wanted one of the main characters to play in an orchestra. However, in the late 1800’s, this was very rare for a woman. Rather than bend the facts, I changed the character so that she played in a four-woman ensemble, something that was becoming increasingly popular at the time. These were small sacrifices that allowed me to keep the story historically accurate. Q: Do you have an anecdote about a reading or fan interaction you’d like to share? 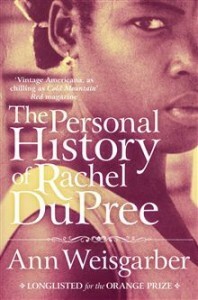 A: When The Personal History of Rachel DuPree was published in the United States, many African-American readers told me stories about their ancestors who homesteaded in the West. They thanked me for writing a novel about people who have been overlooked in the history books and a few readers sent photographs of their relatives. I’m deeply touched by these responses. Q: Where do you feel historical fiction is headed as a genre? A: I’m on the selection committee for the Langum Prize in American Fiction and am impressed by the range of topics, locations, and time periods. There are many Civil War-based novels but there are also those that take place during the Industrial Era, World War I and Prohibition. Locations vary from North Carolina to Missouri to California. Some focus on historical people while others highlight ordinary characters. Each novel is a reminder that historical fiction is broad in scope, that the writing isn’t formulaic, and that as each decade passes, new material surfaces. That keeps the genre fresh. It offers something for every reader. Fifty years from now, I’m confident that the Historical Novels Society will continue to meet and members will continue to discuss the fascinating evolution of historical fiction. Q: Is there a writer, living or deceased, you would like to meet? A: How I wish I could have met E.B. White so I could thank him for writing Charlotte’s Web. It’s the first book that I remember my mother reading to me when I was a child. I was spellbound by this story about impending death, friendship, hope, and most of all, the power of the written word. I’m still spellbound. 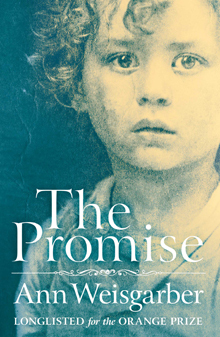 A: The Promise was published in March 2013 by Mantle (Pan Macmillan) in the UK. It takes place on Galveston Island, off the coast of Texas, and begins a few weeks before the 1900 Storm, the worst natural disaster in the U.S. during the 20th Century. There are two narrators, Catherine and Nan, who both strive to cope with change as they struggle to find their places within a small household. Little do they know that a hurricane in the Gulf of Mexico is about to upend all that they know. Coffee or tea? Coffee. I love the aroma. Love scene or death scene? Death scene. The possibilities are endless—the deathbed wishes, promises made, and, of course, the reading of the will.